The ads shown on the far right are from the reopening of the renovated Lancaster Mall. The entire mall identity was refreshed from the ground up. You can learn more about the mall’s identity refresh here. 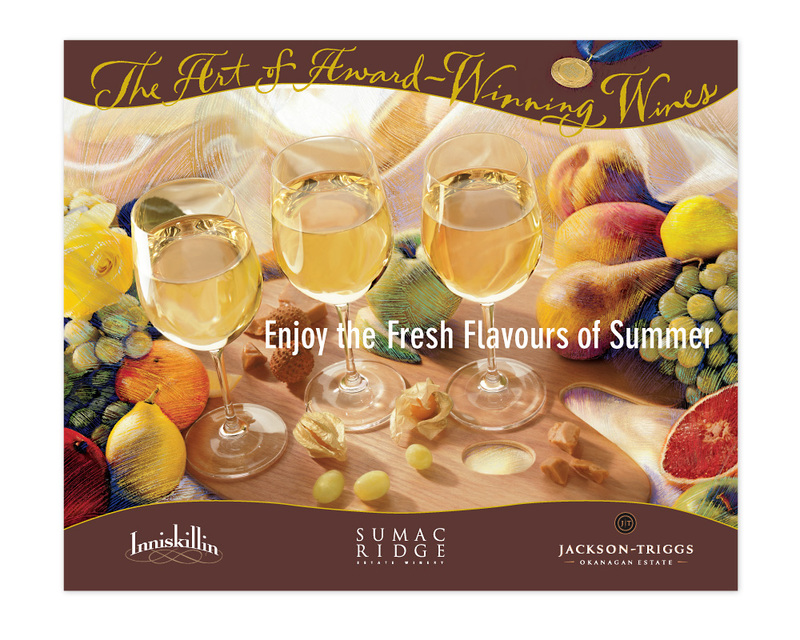 Shown are a grand opening teaser ad, and a detailed events listing version of the ad that ran in local papers, as well as the unaddressed ad mail postcards that were mailed out within a 5km radius of the mall. See also the Lancaster Mall identity, and the Lancaster Mall website. Website for The Sali­ent Group’s Paris Block devel­op­ment on West Hast­ings Street in down­town Van­couver. The Paris Block build­ing is an early-era her­it­age build­ing just east of the new Woodwards building. The website showcases the features of this heritage loft conversion, the neighbourhood, floorplans and a gallery of the area. You can see the Paris Block website live here. 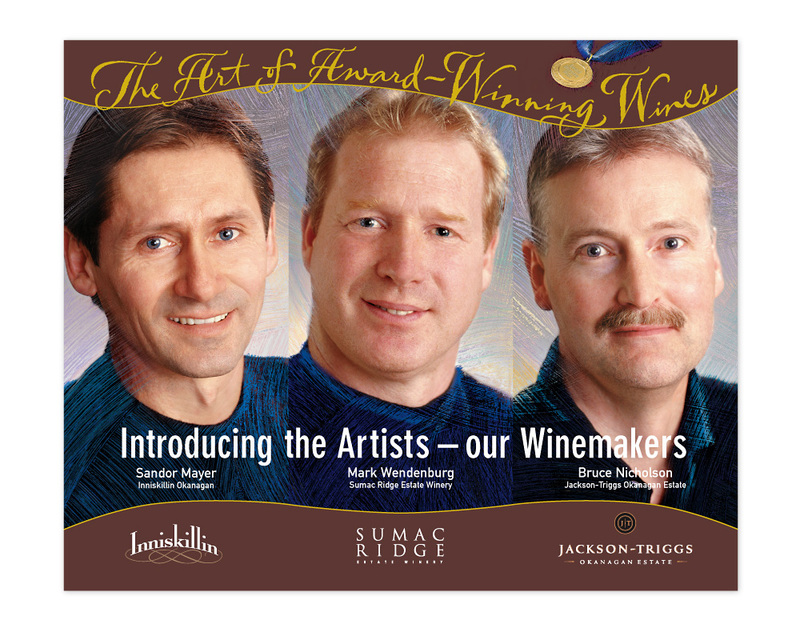 See also The Salient Group corporate website, Bowman Lofts website, and Terminus brochure. The website is no longer active, and therefore no live links are available. 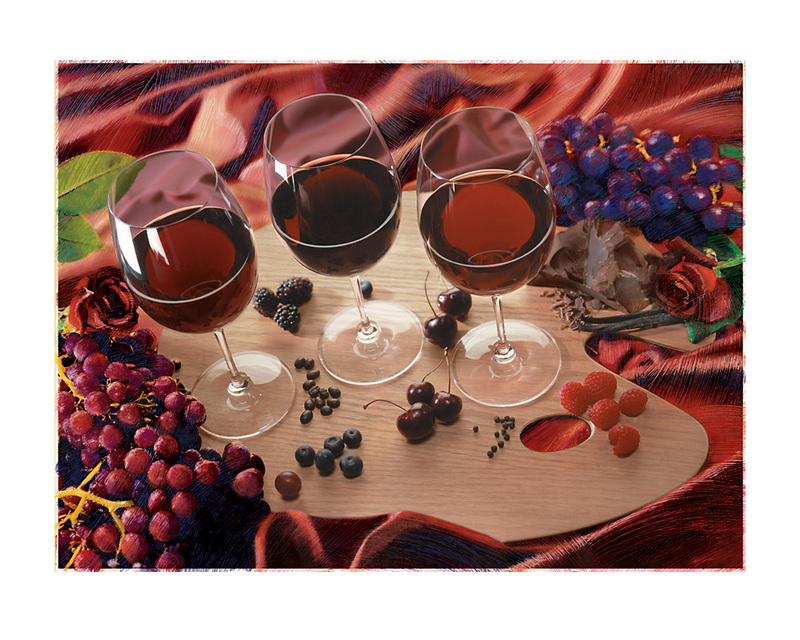 See also the Paris Annex discovery kit, the Paris Block website and The Salient Group corporate website. 4-page road trip article for JIKK distribution in Japan, featured riding from Sergio Layos, Shoe-G and Brian Tunney. 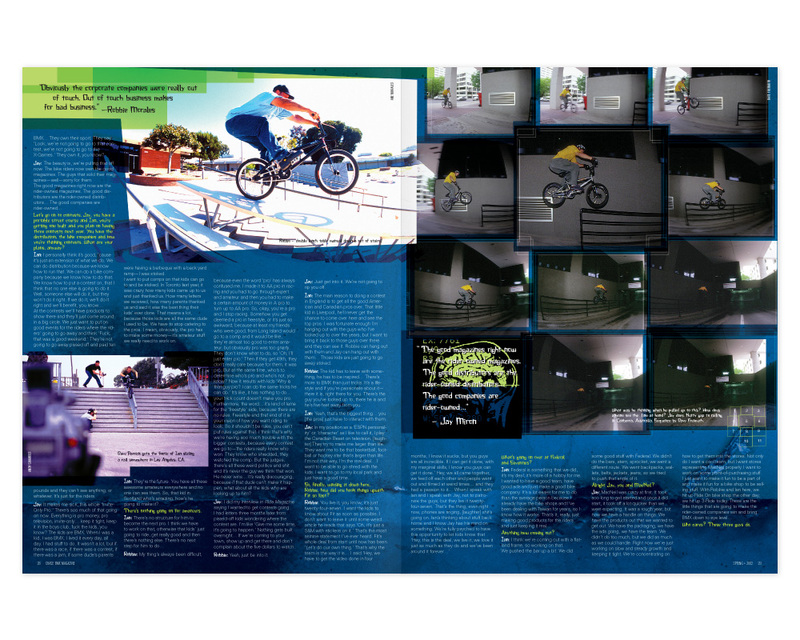 A selection of layouts I designed for the print edition of Chase BMX Magazine over 14 issues from 2000-2003. Shown here are layouts from a Japanese tour; the 2003 Toronto Metro Jam contest; Who Cares? 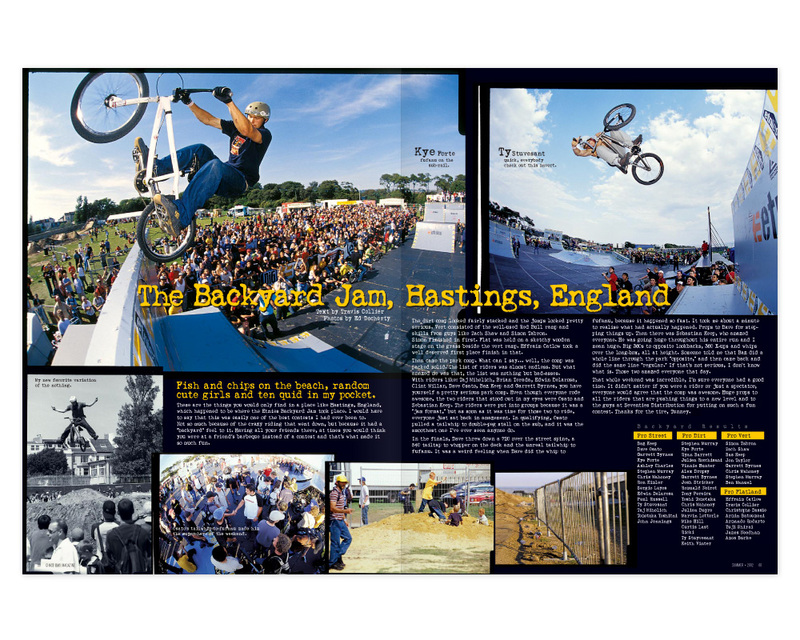 an article about the current state of BMX; a Backyard Jam contest in Hastings, UK; the inaugural 2001 Toronto Primo/La Revolution contest (which later became the Metro Jam contest series) and more. 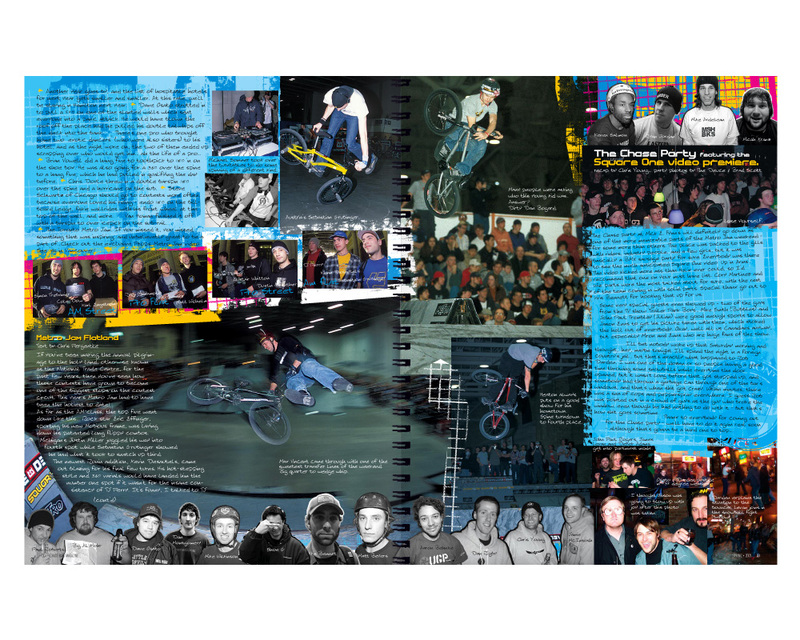 6-page article about the 2003 Toronto Metro Jam BMX contest. 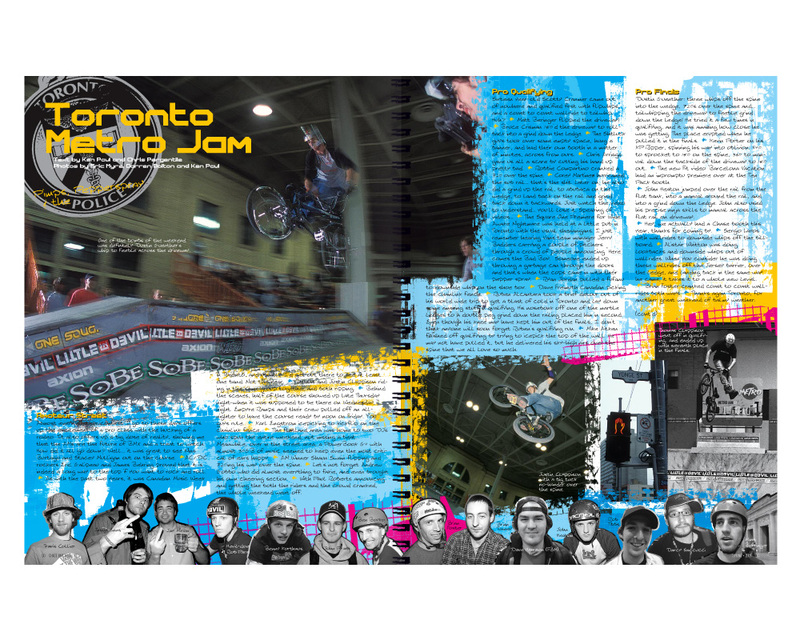 6-page article about the 2003 Toronto Metro Jam BMX contest. I also wrote the sidebar article about the Square One video premiere that took place on the Saturday night of the contest at a local bar (on the right). Who Cares? 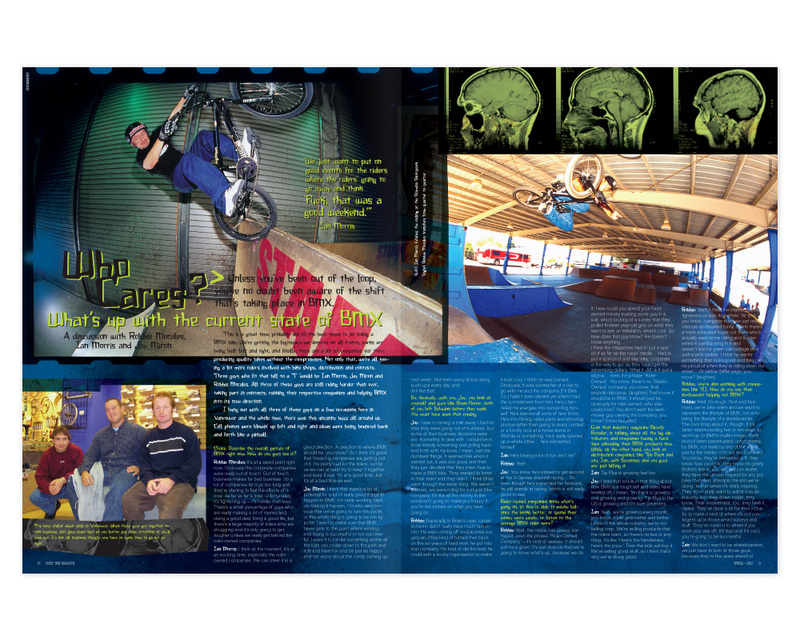 What’s up with the current state of BMX: A 4-page interview with a few of the sport’s biggest independent players; Ian Morris, Rob Morales and Jay Miron. They discuss their opinions of where they believe the sport is going. Backyard Jam contest spread; a 2-page spread covering the Backyard Jam contest in Hastings, England. 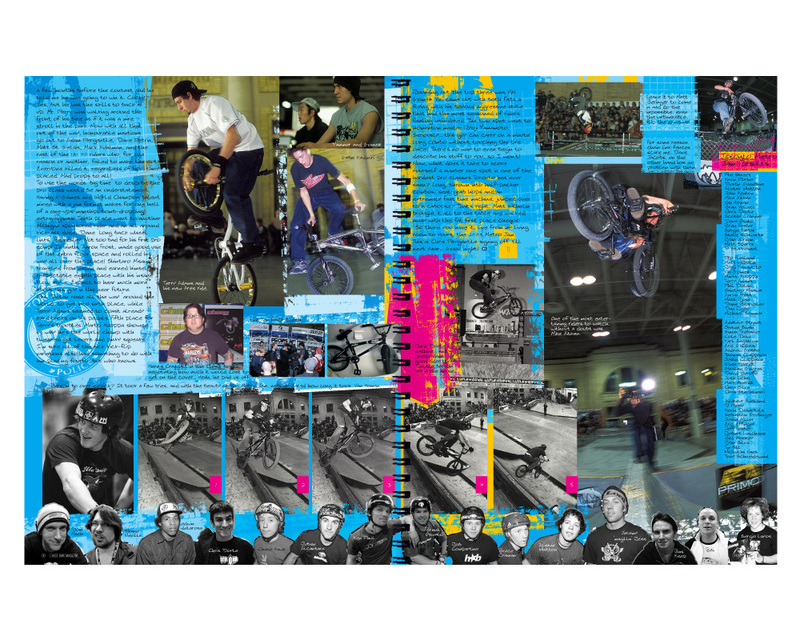 Toronto La Revolution BMX contest; a 6-page article about the inaugural 2001 Toronto La Revolution BMX contest. Don’t go to Steeltown; a 2-page Hamilton, Ontario scene report spread. All roads lead to Cologne: The BMX Worlds. 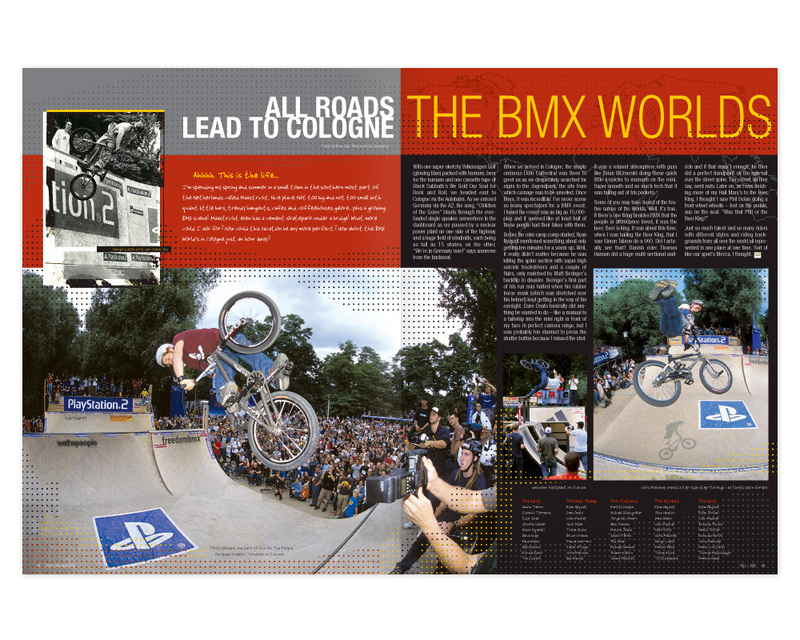 2-page spread from the BMX Worlds contest in Cologne, Germany. See also Chase BMX Magazine stickers. DandelionKIDS already had an established website and online store, but really wanted to expand their personality online and really show off who they are as a company. They also wanted to explain a little more about new products, and highlight a few of their favourites to give them the amount of attention they deserve. The best way to do all they were looking to do was to build them a blog where they can maintain it themselves, (where I help them with more of the graphically difficult posts). In addition to all this, it also give them a place to talk about some of their other in-store, community building programs they offer, such as their Wednesday Morning Story Time and in-house Breast Feeding Workshops. 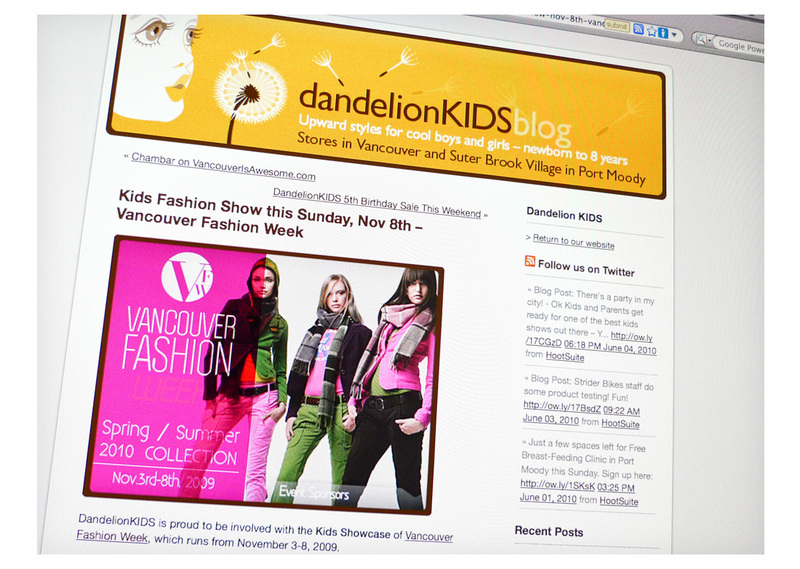 A feature article about Vancouver Fashion week on the DK blog. Their blog has been very well received, with stories often linked to and from other high profile blogs such as VancouverIsAwesome.com and yoyomama.ca, bringing them traffic and interest they would not have seen without spending thousands of dollars on advertising. The blog has been integrated into their Facebook page and Twitter as well, allowing them to very quickly and easily share information with their customer base, and very active mommy blogging/tweeting community. Special promotions such as their ‘TwitterTuesdays’ have really taken off as well. See also Dandelion KIDS ads, and Dandelion KIDS Storefront Signage. 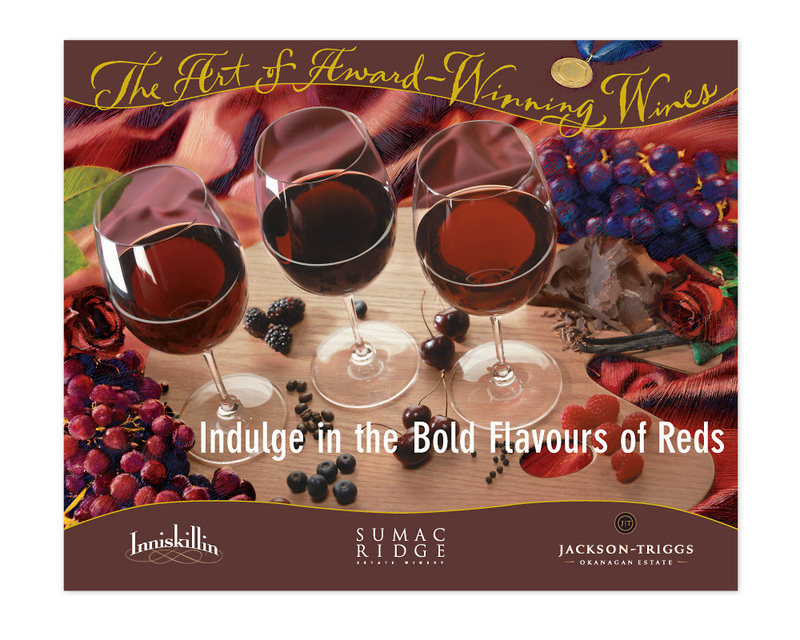 Bottleneck hang-tags and recipe/wine-paring cards were also produced which complemented the oversize POP posters and collateral which had prominent displays in Liquor Stores across Canada. 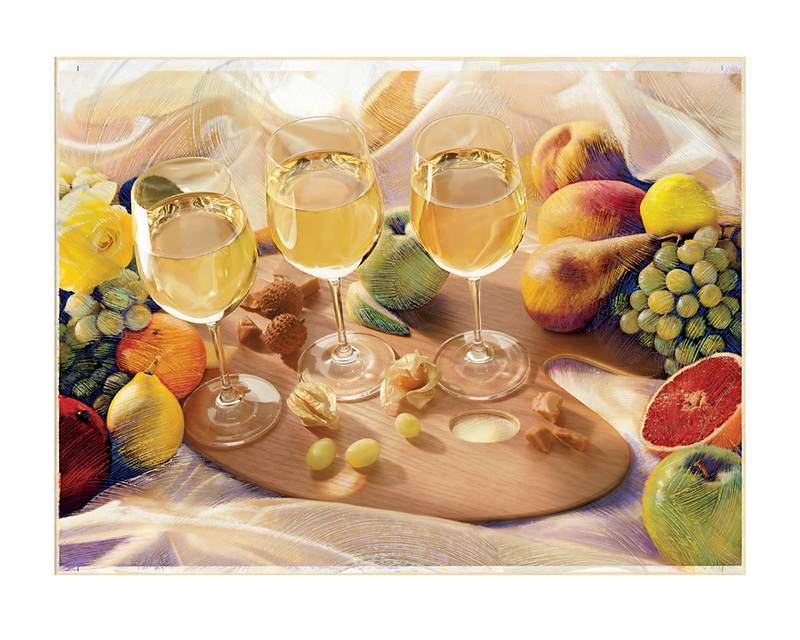 The illustrations used across the campaign were actual paint-on-photographs, which included several hours of Photoshop work, clipping the original photo back on top of the illustration creating a dimensional foreground/background feel. Before and after photos of modifications made to the original model suite. I removed the bricks and replaced them with a drywall finish saved the developer the expense of building a new model suite for the Paris Annex development, a more modern sister-project to the heritage conversion Paris Block development. 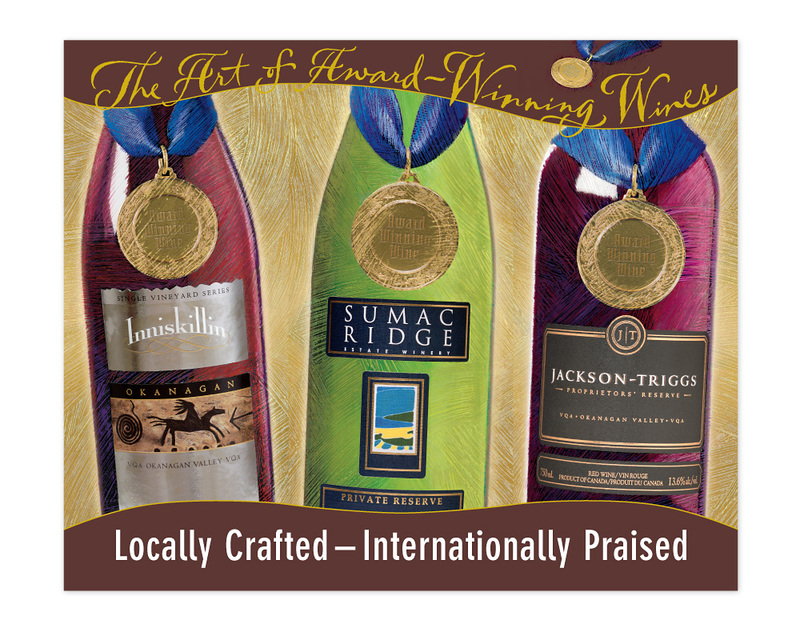 See also The Salient Group corporate website, Paris Annex website, and Terminus brochure. Before and after photos of modifications made to the original model suite. This was a relatively simple fix up – brightening and warming up the image, removing glares on the false window, as well as cleaning up some of the wires in the background. See also The Salient Group corporate website, the Garage brochure, and Terminus brochure.